This recipe is tremendous! I’m fascinated with the avocado staying green after being baked. Tasty, low carb, and moist. What more can you ask for! Make your guacamole (Avocado, jalapeño, cilantro, onion, tomato or red pepper). 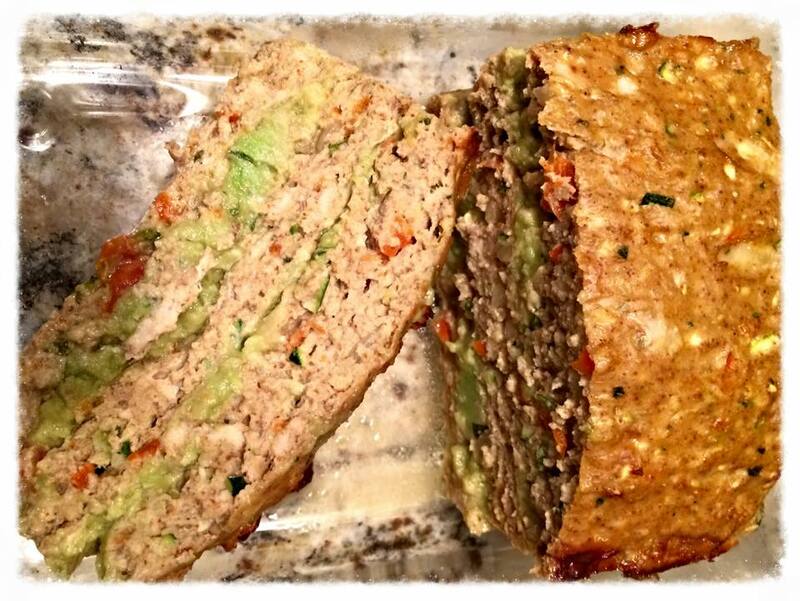 Place one layer of turkey mix in loaf pan, followed by a layer of guacamole. Repeat, ending with the turkey mix on top. Cook 45 -55 minutes or until cooked through center. This entry was posted in Recipes and tagged recipe.